The pizza chain will move into the former Tory Row and Crimson Corner spaces at the intersection of Mass Ave., JFK St., and Brattle St. UPDATED: October 3, 2017, at 10:57 p.m.
After nearly a year of public meetings, zoning hearings, and revisions, Washington, D.C.-based restaurant chain &pizza has finally gained approval to bring its make-your-own pizza pies to Harvard Square. The restaurant, which will share its space with New York-based dessert-bakery Milk Bar after receiving an initial rejection from the Cambridge Board of Zoning Appeal, will move into the former Tory Row and Crimson Corner spaces at the intersection of Mass Ave., JFK St., and Brattle St.
&pizza first set its sights on the corner location in January, when the property owner of Crimson Corner ended the newsstand’s lease. A few months prior, in October, the neighboring restaurant Tory Row closed shop, creating an opportunity for &pizza to take over two adjacent storefronts. The ensuing permitting process took an unusual amount of time, largely due to community pushback on the pizza company’s store design and the abundance of other pizza shops in the Square. 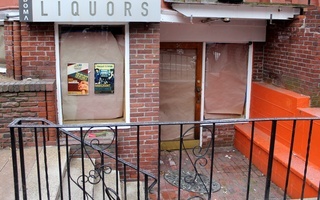 In late April, the Board of Zoning Appeals denied &pizza’s application to open at 1-8 Brattle. 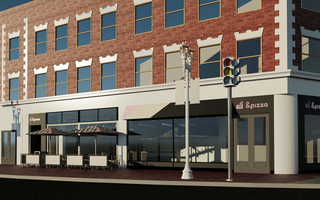 Over the course of the summer, though, &pizza submitted a revised bid—this time in partnership with Milk Bar—that received approval at last Thursday’s Board of Zoning Appeals meeting with a unanimous vote. 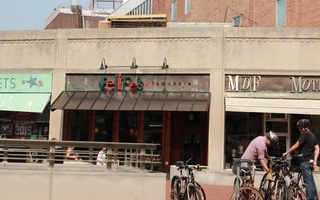 Denise A. Jillson, executive director of the Harvard Square Business Association, said she thinks the 5-0 zoning board vote—including support from the chair, whom she said rarely votes for fast food establishments—reflects the work of &pizza to incorporate the board’s design suggestions and community feedback. In a statement released Friday, &pizza said it was pleased with the result and excited to move forward. One group of Cantabrigians, however, remains concerned about &pizza’s arrival and have launched a protest related to &pizza’s use of the term “tribe members” and their culture of encouraging employees and customers to get ampersand tattoos. As part of a promotion earlier this year, for instance, the chain offered some customers the chance to get an ampersand tattoo in exchange for free pizza for a year. At a Harvard Square Neighborhood Association meeting Sunday night, Suzanne P. Blier, a Harvard professor and founder of the HSNA, said she thought &pizza’s branding was inappropriate. In response, &pizza spokesperson Rachel Van Dolsen wrote in an email that the ampersand symbolizes unity and bringing people together. “We encourage our customers and employees to bring their own meaning to the ampersand symbol – some get it inked, others do not,” she wrote. Others say they look forward to &pizza’s move into Harvard Square. 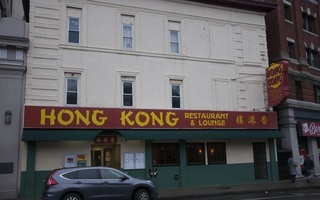 Jillson said she eagerly awaits the restaurant’s opening, because the properties in question have been vacant since Tory Row’s closure in October and Crimson Corner’s move in January. –Staff writer Sarah Wu can be reached at sarah.wu@thecrimson.com. Follow her on Twitter @sarah_wu_. 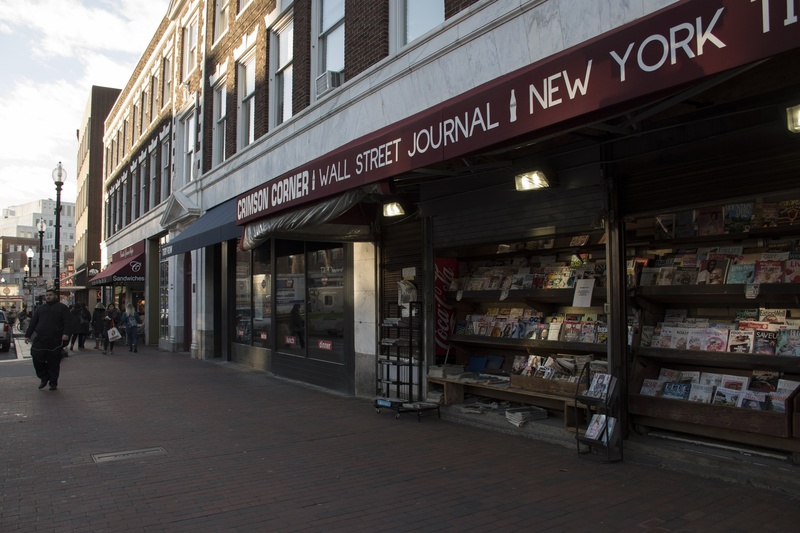 To the Editors of The Crimson: I was horrified to learn that Harvard University may soon close the Linden St.